ROCHESTER, N.Y. -- Believe it or not, there's only 20 home games left in the 2018 regular season! 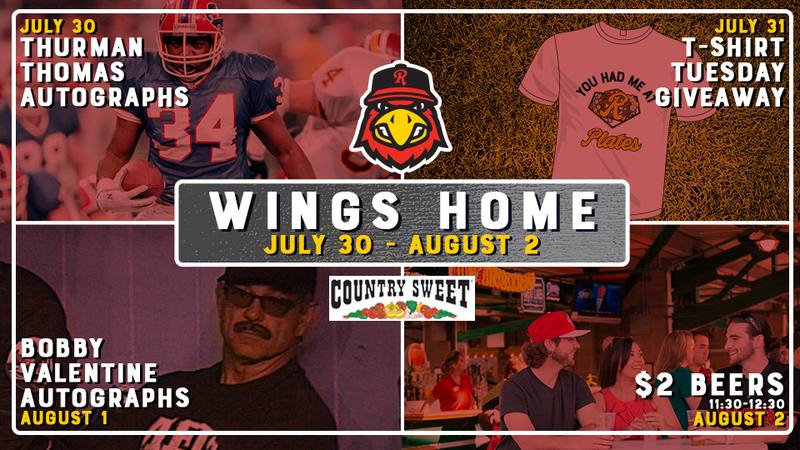 The Wings welcome Scranton/WB - the Yankees top affiliate - to town on Monday for a four-game series. 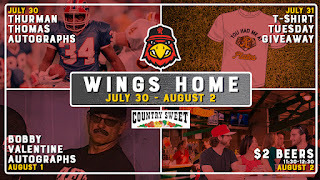 The homestand is highlighted by autograph appearances from Thurman Thomas and Bobby Valentine, a t-shirt giveaway, and pre-game happy hour. ***Monday is a quasi-doubleheader. Game One will be a resumption of a suspended game from June 24. It will begin with the Red Wings trailing 4-1 in the bottom of the fourth inning and will be played in its 9-inning entirety. Game Two will be a 7-inning contest and begin approximately 30 minutes after Game One. 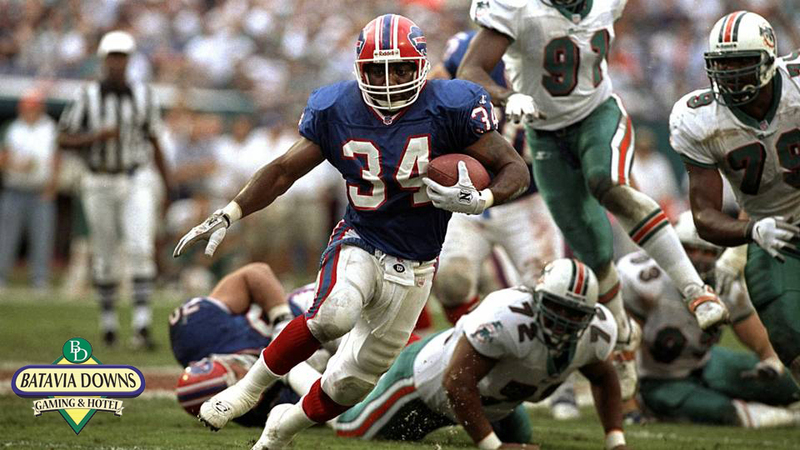 THURMAN THOMAS AUTOGRAPH APPEARANCE - The Buffalo Bills Hall of Fame running back will sign autographs on the Frontier Field concourse from 6 - 6:45 pm presented by Batavia Downs Gaming & Racetrack. No inscriptions or personalizations. MASCOT NIGHT - All of Spikes and Mittsy's mascot buddies from around the area will be at the ballpark for autogrpahs and photos. 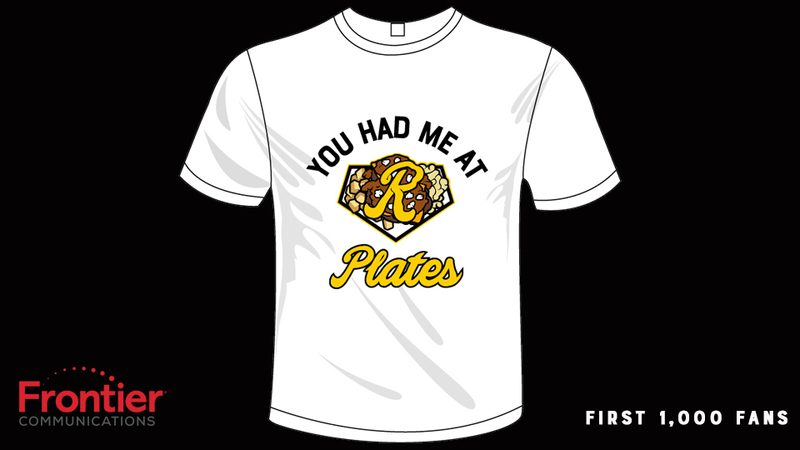 T-SHIRT TUESDAY - The first 1,000 fans will receive this t-shirt courtesy of Frontier Communications. 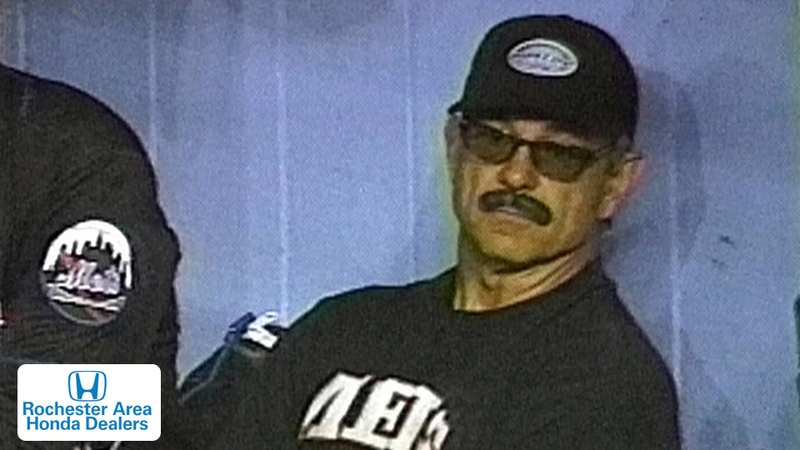 BOBBY VALENTINE AUTOGRAPH APPEARANCE - Former Mets and Red Sox manager Bobby Valentine will be here to sign autographs from 6-6:45 pm and 7:15-8 pm in the Red Wings Hall of Fame! NICK GORDON MAGNET GIVEAWAY - The first 2,500 fans will receive a Nick Gordon magnet courtesy of Foodlink. THIRSTY THURSDAY PRE-GAME HAPPY HOUR - We'll have $2 beers from 11:30 - 12:30 pm out at the 10th Inning Bar presented by Bud and Genny. COLLEGE DAY - Every Thursday - college students with a valid college ID can get a reserved ticket AND $5 Diamond Dollars for ONLY $10!